Get ready to make some SERIOUS cash with little effort! You can make money from your website or eZine list simply by linking to us! All you have to do is put a text or banner link to us on your site, and every time someone clicks on your link, comes to our site and buys our eBook, you receive 75%! That's right.. 75%! An independent company called Clickbank handles the sales processing and payment to affiliates. To join this online affiliate program you will need to sign up with Clickbank (details below), but this is free to do. Clickbank sends out checks twice a month. However, there has to be a minimum of $25 in your account before they will send a check to you. Clickbank has an online statistics facility with real time updates, so you can see how much commission you have earned at any time. The best thing to do is take a tour of the Clickbank site once you register. 1. Sign up with Clickbank for free. 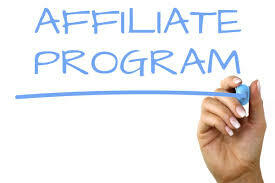 Click here online affiliate program to sign up. (This link opens in a new browser screen. Don't forget to switch back to this screen once the signup is complete!) Once your Clickbank account is open, it is important to remember the nickname you have assigned yourself. If you're already a Clickbank member, create your link below! 2. Add one of the below banners or text links to your website and be sure to replace "nickname" in the link to your affiliate name (account name) you have assigned yourself at Clickbank. Also, note that the links should not have the target="_new" in the code (used normally to open a link in a new browser window). There are several Internet Explorer browser versions that will not open a new window and pass data at the same time. 1. Complete all of the steps above in "How do I get started"
2. Ad some banners or text links from below to get started generating cash right away! Top Performing Banners for our Affiliates! Explosive Text Links for our Affiliates! Replace "nickname" in the below code with the nickname (account name) you have assigned yourself at Clickbank. You may change the text in the links to suit your needs or increase response. Powerful Text Ads for our Affiliates! Many of our top affiliates have placed these ads in their Ezine for almost instant results! These ads have been documented for having a 22% Click-Thru rate! Gain Massive Amounts of Muscle... Even If You Are A Hard Gainer! Limited Time Offer Guarantees To Pack On Pounds And Pounds Of New Muscle! WASTING THEIR TIME ON ROUTINES THAT DON'T WORK. Powerful Article for our Affiliates! "The Bio-Genetic Muscle Gain Program" is a bodybuilding training and diet book for hard gainers and people with average genetics who have not been able to gain muscle size and strength with traditional training. The exact training and nutrition programs are presented in detail, along with illustrations. Bryan Kernan was a classic hard gainer. After years of wasted effort with traditional bodybuilding training, Dan stumbled upon the program presented in "The Bio-Genetic Muscle Gain Program" and made the best size and strength gains in his entire life. His personal success with the program motivated him to write the book and dedicate himself to helping hard gainers and genetically average bodybuilders make the best possible gains from their training. Article about "The Bio-Genetic Muscle Gain Program" by Bryan Kernan . Copyright 2005. Reprinted by permission. Get Ready to Make Big Gains! If you have been struggling in the gym and not making gains by following the cookie-cutter training programs...or if you have been changing programs monthly, following the drug-induced champions "training program of the month" featured in your favorite muscle magazines, then you are going to find this a very personally rewarding, result-producing program. You might find it unusual at first, compared to the multiple set, triple-quadruple split, Bulgarian, blast and bomb super-duper, chemically-enhanced programs espoused by the champs every month in the magazines, but this simple course is extremely effective for the genetically-average person (or "hard- gainer") who chooses not to involve himself or herself in the insanity of anabolic steroids. This program has been used successfully by hard-gainers to gain mass and strength for over five decades. I understand the frustration you've felt while working your guts out in the gym, eating right, and still not making any gains in strength or size. I've struggled for years trying different programs, diets and supplements, spending hours and hours in the gym every week, and hundreds of hard-earned dollars on the latest fad supplements, with only marginal results. It wasn't until I faithfully followed this very course that you are holding in your hands that I experienced the rapid gains in strength and muscle mass that I had been dreaming about for years. If you faithfully follow this program with consistency, determination, and enthusiasm...and when you are in the gym you give it your best effort...then I am confident that you will make great gains on this program. Will you gain 25 pounds of muscle in eight weeks? Many factors can affect how much muscle you will gain. Some of those factors like training, diet, and mental attitude are directly within your control. Other factors like genetics, recovery-ability, hormones, etc. are out of your control. I know that hundreds of hard-gainers like yourself have gained 25 pounds or more in eight weeks on this program. Don't worry about those factors that are out of your control. Concentrate your energy on those factors that you can control and give them your all. Set a goal, write it down along with a date that you want to complete it, focus on it, visualize the results you want, and GO FOR IT! Permission to reprint these articles is granted if the article is reproduced in its entirety, without editing, including the bio information. Your must also include a hyperlink to http://www.trulyhuge.com (or your affiliate code) when using this article in newsletters or online. Already a Clickbank member, create your link here! To see your affiliate link code enter your ClickBank nickname below and click the button. Here's your affiliate url: Just advertise this link and you will earn commissions on ALL sales. Commissions are automatically tracked through your link ensuring proper credit for the deserving reseller. Checks are sent every two weeks.